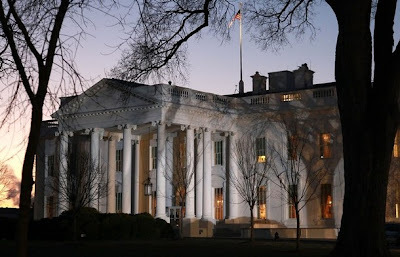 Books, usually tell the tales about First Families once they leave a White House. Multitudes are written about presidents, yet first ladies are in vogue again. So, to keep the recipe bin clear of the biographies and the musical CDs, we shall endeavor to keep them separated. Check back as selections will have periodic updates. White House style covers so many different elements with an enormous uptick in interest as the Obamas settle in for their first year. 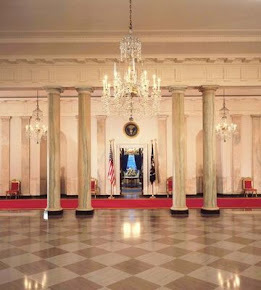 In the White House section are excellent DVD's on the interiors and history of the rooms in fascinating specials that aired December 2008 showing the residence's private quarters and closeups of the White House Art Collections. FLOTUS is scheduled to have a number books reflecting on her first year and the historic nature of her tenure. Michelle Obama's Princeton thesis on being African American in an Ivy League circumstance is being mined for clues to her thinking at the time. Meanwhile, Maya Soetero-Ng has contracted with a publisher to produce and edit a book from the original doctoral thesis for Stanley Ann Durham. Dr. Durham is the mother of President Barack Obama and Dr. Soetero-Ng. Bo Obama also is running circles around writers as his life story is now the subject of many books and more to come since his debut at the White House. Executive Chefs of the White House must range from a solitary dinner to serving food fit for heads of States in a manner that inspires awe. Many aspire to the role, but few have the privilege. The current Executive Chef is Chris Comerford who came up through the ranks serving along side the elite in the culinary Arts. Dr. Roland Mesnier is the world's foremost expert on pastry and his creations did not repeat for any state functions. Incredible edibles at the White House are a culinary requirement and visually stunning. 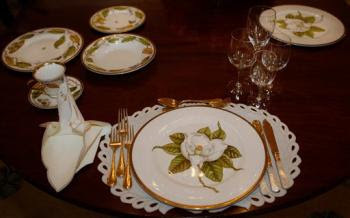 The best part is everything is put on the lovely plates or served in interesting shate is made for eating right to the last scrumptious crumb. From Martha Washington to Michelle Obama, each First Lady accomplishes something new during an Administration. It is not always for the public to admire or the presidents political need. First Ladies have a rhythm all their own for White House entertaining or child rearing. 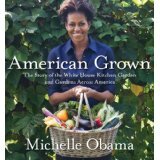 In the carousel above featuring Michelle Obama, are a number of books focused on the entire contingent of First Ladies. Mrs. Obama's fashion sense has been more remarked upon than her style of entertainment which will be on display over the next few years. Check back as a group of reference material and new books are added as a full update is due with a new first lady in her maiden year. A collection of books that the current First Family reads, with emphasis on the president, is here in Obama Reads. William Seale steals the show during the C-SPAN series with his repertoire of knowledge about the house and great tidbits on the families. Here is a store to check with more East Wing Rules selections. Check the categories in the upper left column. Click here and Enjoy! Thank you to Maureen for helping me pick the selections. If anyone can find a great White House Gardens book, please do email me.